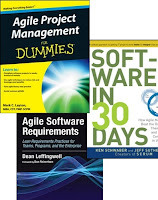 What Agile books should I get ? Usually the question is from or for someone that is new to Agile. Maybe they've just gone through the Scrum training or joined their first organization that is using Agile or trying to grow their Agile talent and prepare new people to work in an Agile way. 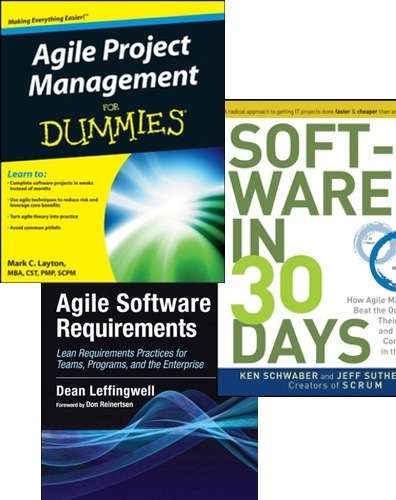 But I also often find that when an organization is struggling with Agile or practicing ScrumBut or is Agile-ish or transitioning to Agile, that's when they really need the help that these 3 books can give them. One of the keys to Agile success is for the entire team to embrace and practice good Agile habits using Scrum. To do that you need to provide your team members with all the active daily support that they will need, to prevent them from falling back into bad, old, non-Agile habits. Having an Agile/Scrum Coach supporting your team full time is an essential way to accomplish this goal. You should also provide every team member with training in the Scrum fundamentals. 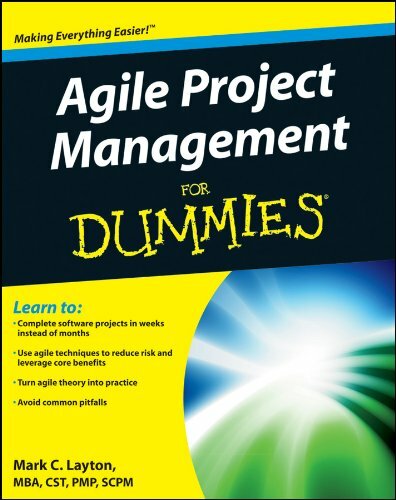 And a fantastic support tool that you should utilize, is this book from Mark Layton called Agile Project Management For Dummies. While Scrum training is an essential element of all Agile initiatives, training can't do it all. People need the day to day, how to execute Scrum, step by step details, offered by this excellent book. Think of it as THE handbook or instruction manual on how to do Scrum. A book that everyone can turn to every day, as they implement Scrum, to show them how to actually DO IT the right way. And how to deal with the inevitable conflicts and issues that will come up in the real world, as you walkthrough the steps of the Scrum process. This book is also loaded with practical real life tips on how to deal with the challenges that will present themselves while you are implementing Scrum. Another essential tool that you won't get much of from training alone. When an organization is transitioning form waterfall to Agile, there is a very very strong natural urge to fall back into bad non-Agile habits. Especially for those that have a huge amount of experience in waterfall environments. To those folks Scrum will seem counter-intuitive to them. Because many of the Agile principles and Scrum practices are in direct contradiction with waterfall. And so putting Agile principles and the Scrum framework into practice will seem awkward and uncomfortable. In many ways it is a major 180 degree change in thinking and doing, from the old school, waterfall ways of doing things. This is all the more reason that a practical, on the ground, how to do it right, handbook like this is absolutely essential. Mark was one of my Scrum instructors, so I know first hand, how good he is - Very very good. Back in 2011 when he told me he was working on a book, I had no idea it would be so good. While the title is an unfortunate one (for Dummies), if you don't know, you should know that the For Dummies series of books is extremely popular and very successful. There are over 1,800 titles in the series. The series is published by Wiley, a major publisher. So unfortunate or accurate title, it's a fantastic book and a must have for anyone interested in or practicing Scrum. Agile Project Management For Dummies by Mark Layton is available on Amazon and as of Aug 12, 2013 is rated 4.4 out of 5 stars, has been a best seller in the Agile book category for many months and the electronic version in Kindle format only costs $16.49. Mark is a very active Scrum Trainer and practitioner and is the founder of Platinum Edge. Mark has the video below on YouTube with a quick introduction to the book. My recommendation is that every single member of a Scrum team and every manager in an Agile organization, get their very own copy of this book and use it every single day, until being truly Agile has become second nature. Another key requirement for Agile to be successful, is complete support for it at the top. The executives, directors and managers of the organization absolutely have to support, and really embrace Agile in order for it to be truly successful. For leaders that have no experience in a truly Agile organization, this is not a small thing. Or worse, if the leaders "think" they have true Agile experience and understand Agile, but have really just been practicing ScrumBut or Scummerfall. Agile principles and the Scrum framework are fundamentally different ways of managing, planning and developing strategy. It requires leaders to let go of the things that they thought were working in an organization that used to think and act in old school, waterfall ways. One of the biggest delusions they will have to learn to let go of, is the believe that the Triple Constraints actually works. I call it a delusion on purpose, because the belief that you can constrain cost, scope and schedule and still be able to deliver something that is good, cheap and do it fast, is a total fantasy. Like a delusion, it's a belief held with strong conviction despite superior evidence to the contrary that it does not work. In other words, the Triple Constraints are a fundamental belief that is the basis of waterfall. And the Triple Constraints do not work, because quite simply, reality will not let it. "It just don't work like that." Agile and Scrum recognize this reality and provide a way that does work. Therefore switching from a waterfall way of thinking, to an Agile one, is a major paradigm shift and will not ever be an easy transition. 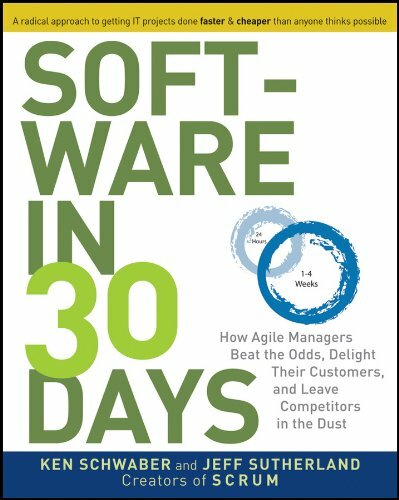 It's called Software in 30 Days: How Agile Managers Beat the Odds, Delight Their Customers, And Leave Competitors In the Dust, and it's written for CEOs, execs and senior managers who need their organizations to deliver better software in less time, with lower cost, greater predictability, and lower risk. Just the first 2 chapters will give you some "light bulb" ideas and "Ah ha !!!" moments. And it's also got some brief case studies of real software teams that produced dramatic results fast. 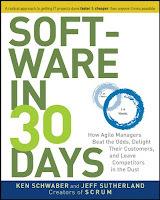 30 Days is written by THE creators of Scrum, and 2 of the Agile pioneers. They are the top experts in the field. It's written by Ken Schwaber, a co-founder of the Agile software movement, and Jeff Sutherland, co-creator of Scrum along with Ken. I highly recommend this book as required reading for every single manager, director, executive from the ScrumMaster and Scrum Product Owner all the way up to CEO and board member. How do you scale it to bigger and bigger projects and even across an entire enterprise ? 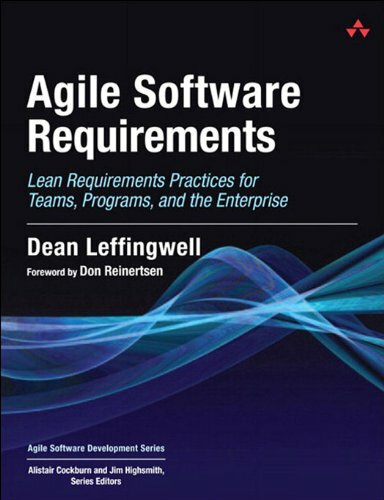 A thought leader on that subject is Dean Leffingwell who created a knowledge base for implementing agile practices at an enterprise scale called the Scaled Agile Framework (SAFe). The Scaled Agile Framework web site contains a break down of the framework covering team, program and portfolio levels. The SAFe framework is presented on the web site as a diagram called the Big Picture. All of the elements of the Big Picture diagram, the roles, teams, activities and artifacts, are all clickable so you can drill down into a description of each. And this model has been elaborated into even more detail in Dean's books. 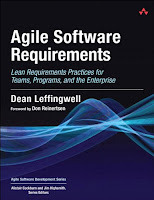 Dean's most recent book is Agile Software Requirements: Lean Requirements Practices for Teams, Programs, and the Enterprise. 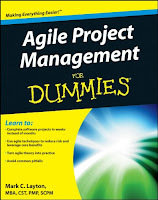 I recommend the Scaled Agile Framework (SAFe) web site and this book for every manager involved in implementing Scrum. From the team, to the program, to the portfolio, to the enterprise levels. This should be required reading for ScrumMasters of teams and Scrum of Scrums, and all other managers all the up to the portfolio level. The SBOK guide of http://www.scrumstudy.com will actually show how Scrum can be a very useful tool to keep organized and create better goals for your team. If all goes well, your team will gain a lot more focus and work more efficiently by using Agile Project Management in your Projects. I agree with you on it,Basically these are those things they are tremendous at the use whether they have an inappropriate activity in it but a certain section is there for whom Agile is the preference, Through learning agile and scrum methodologies it can also help others.